and it is our great pleasure to meet you here virtually. 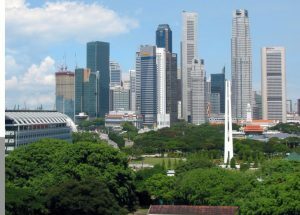 Singapore is a renowned global city, and has customarily been a solid magnet for talents and funds. The property showcase has been in a general sense alluring to local people and foreigners alike, given its land scarcity, first world class urban planning, security, solid economy, strong money and so forth. With the Government's great organization and foresight, by means of the different cooling and monetary measures, they have effectively built a soft landing in the property market, which is expected to continue into 2018. After 4 years of softening, property prices are an indistinguishable level from what they were 5 years back. This is a great achievement inspite a healthy GDP and household income growth. As a result, the real estate market has turned out to be more reasonable now in respect to different markets, of which some are continuing to see prices running higher. 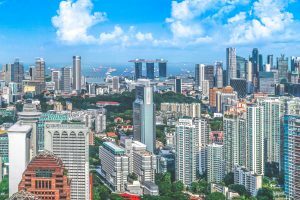 This has transformed Singapore property into a considerably more appealing spot for putting resources into properties as compared to other countries. UBS in their Global Real Estate Bubble Index put Singapore with an index of 0.32 in the fair-valued range (which is -0.5 to 0.5) and put Hong Kong index to 1.74 in the bubble risk range (above 1.5). This liquidity will help to prop up Singapore’s property market and will help to sustain higher prices over the next couple of years. The private residential market is also undersupplied over the next 3 years in terms of newly completing units, and unsold inventory is at its multi-year lows. Based on Straits Times Report in January 2018, the market watchers are expecting an increase of a low 3% to a very optimistic 15%. Cooling measures are unlikely to be relaxed. One consultancy noted that historically, the length of Singapore uptrend averages 17.6 quarters, the upcycle will have be going past 2010. If the prices spike 17%, upcycle will taper off by 2019. 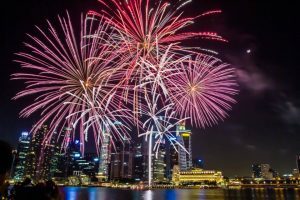 That means, it is a good time to get a property in 2018. Risks that need to be watch out for are higher interest rates, uneven economic performance, muted population expansion and lower-than-expected income growth. Collective sales fever is expected to start to ease. 2018 and 2019 will see about 20,000 new units from government land sales and en-bloc and prices is not expected to rise steeply. Today Online reported in Dec 2017 that oversupply of private homes is unfounded as redeveloped properties from the collective sales would not materialised until 2020 to 2021. 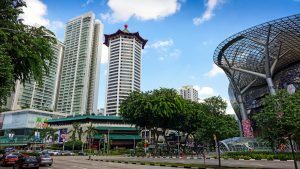 BNP indicated in their report that Singapore home prices have reached a bottom and will rebound, while Hong Kong’s “crazy” housing market will continue to defy gravity. Property prices in Singapore have declined for 15 quarters - longest slide since 1975, with the cooling measures. Home values dropped 12% from their 2013 peak, whereas Hong Kong reach record high in early 2017. As a result of that, prices is expected to boost by 10 to 15%, luring foreign buyers to invest in Singapore properties. Development charges will increase in the highest over a decade of an average 22.8% announced by the Ministry of National Development on 28 Feb 2018. Developers will get cautious and this hike is expected to cool the en bloc fever. For the vast majority areas, increase is from 12% to 38%. These rates rose highest in areas where high bids were done by developers under the government land sales programme. The main impact will be imposed on 99-year leasehold sites which is put up for en bloc sale, since the developers need to pay more to extend the lease.